We provided respite & group work opportunities for Young Adult Carers aged 16-25 living in West Dunbartonshire. 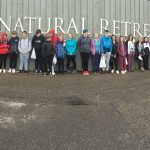 Allowing them to take part in short breaks away from their caring role and responsibilities at home, by hosting Mini camps that included an overnight stay and/or day trips. They also had the opportunity to participate in weekly group work sessions. The project had a slow start to begin with but soon picked up mainly through social media & word of mouth from the current members. We held focus groups with group members, to discuss and plan the way forward, with staff visiting local organisations such as Working 4 U Employability Service, college & schools, which has built good partnerships. We visited three other Young Adult Carers projects, Stirling, East Ayrshire & Inverclyde, this was extremely beneficial in terms of ideas on how to develop and take the project forward. We now have an established Young Adult Carers Group which runs on a weekly basis with 17 individual Young Adult Carers attending regular, they have participated in a variety of activities & learning opportunities, such as no smoking, healthy eating healthy lifestyle choices, internet safety, sexual health, cooking sessions including Burns night, curry night, swimming and dance fit. These sessions have allowed the Young Adult Carers to learn new skills, meet up socially in a relaxed environment and form new friendships. Short Breaks has allowed seventeen individual Young Adult Carers (YAC's) to have the opportunity to take time away from their caring roles at home, take part in positive activities and reduced social isolation. 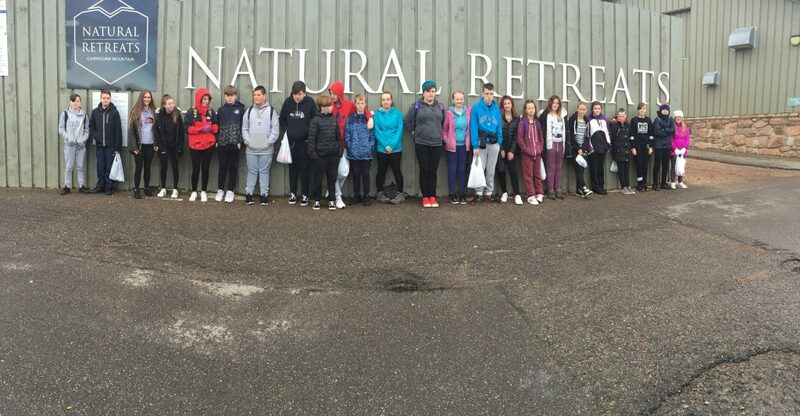 Four Young Adult Carers went on a joint three day residential with the Young Carers to Aviemore. Five Young Adult Carer's also had an overnight residential to Auchengillan where they took part in and completed their Basic Food Hygiene Certificate. Police Scotland also delivered a workshop on Internet Safety, which included photo sharing/snap chat, identifying grooming and inappropriate behaviours & relationships, followed by fun activities. Eight Young Adult Carer's, also enjoyed a night out to a local restaurant where they had the opportunity to socialise with each other over a nice meal. As the group took longer to establish than anticipated, and having to change dates to suit the Young Adult Carers's, they wanted to make sure they got the best out of the grant by planning worthwhile activities to benefit them more in the future. This left them with some outstanding activities, planned for new year. “The opportunities I get from coming to the group are, getting time away from my caring role, going on the trips and meeting new people. Meeting new people helps me realise that I’m not the only person who has to help look after their parents. The person I care for worries about me as soon as I leave the house as I have anger issues, but they know it’s good for me to get time away from the house”. “I feel supported by the service because I attend a 2 hour group, twice a week. This gives me time to myself which I don’t get very often. My caring role involves looking after more than one person, it can be very intense at times but it does make me feel better because I know I’m being helpful. “I’m aware of the support and sources at Y sort it because I have been attending the service for 4 years. I had to build up a strong trust base with the workers before I will ask for help or confide. I find it hard to trust and get to know people however over the years when things have been hard and I have asked for help they have been there for me. The Creative Breaks grant has allowed us to pilot a Young Adult Carers Service, which provided learning for us an organisation but has also allowed us to establish a well needed service with the West Dunbartonshire Caring Community with Young Adult Carers sometimes being over looked. The grant supported seventeen young adult carers to take time away from their caring roles, engage in group work sessions, and short breaks & day trip opportunities. As reported in the midway report, we were currently supporting seven carers, with those engaging going up every month, we believe the Young Adult Carer's Service will go from strength to strength. It was a challenge to engage the young adults at the beginning for a number of reasons such as Young Adult Carer's availability, commitments in their caring roles and other personal commitments like college or work, but we are now finding ways to overcome this, such helping with transport, changing times of the group sessions and looking "quieter times" after pressure points such as exam time or Christmas. A turning point was when they realised they would be the one's deciding on group nights, when they would run and when & where the short breaks would take place, this is when the group really started to develop. We now see that there is a definite need to continue support for the young adult carers, this will be through group work & 1-2-1 sessions, and is now part of our core services. We continue to receive referrals regular and are excited to see what the future holds for these individuals. It's important to put your Young Adult Carers at the forefront of all planning with regards to their group programme and trips/residential's to establish engagement with the service. This gives them a feeling of self-worth and being part of a group, it helps increase their confidence around others by taking the lead and discussing what they would like to do when it come to their short breaks. Research and take time to visit other local Young Adult Carers Service's to gain an understanding of what other services are providing and what their own challenges and successes have been in their development. Create strong links with local college to help promote the service to their students. Be really creative in regards to ideas for trips and overnight stays e.g we have accessed Wilderness Training which is unique and something they haven’t done before.